Claude Chatelier Cognac is part of the family of Maison Ferrand. True to all the cognacs produced by Ferrand, it has been created with the same concept as all of the cognac brands under this umbrella - and that is to bring new life to the industry with the very best of products that are not created using mass production techniques. As part of Maison Ferrand, the whole ethos behind Claude Chatelier is that the cognac produced must be an expression of the land. The grapes must be grown and harvested without using any mass-production techniques, and each year's harvest must be allowed to naturally mature into the best it can possibly be. The grapes themselves must be selected for their high quality, and each eaux-de-vie must be distilled and matured slowly until it is just right to be used in one of their cognacs. 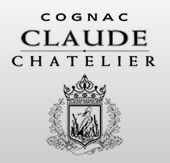 Wines from the best regions are used to make Claude Chatelier cognac. Traditionally distilled, Claude Chatelier is aged in shady cellars then blended to give a subtle, well-balanced cognac that meets the exacting expectations of demanding consumers. Claude Chatelier cognacs come in exclusive bottles of contemporary design. There is no information available about visiting the cognac house. We suggest you contact them directly if you wish to go there.